Amazon will reportedly get into the smartphone game in 2012 with a so-called "Kindle Phone" running a Texas Instruments OMAP 4 processor and priced around $200 or less. Details of the purported new phone are few, but the handset would presumably be tied to Amazon's digital content store for music, movies, television shows, smartphone apps, and e-books. The "Kindle Phone" claim comes from Citigroup analyst Mark Mahaney based on checks with electronic component suppliers in Asia, according to AllThingsD. The idea that Amazon would get into the smartphone game is not surprising. The online retailer already has a mobile OS based on Android 2.3, Gingerbread, for its new Kindle Fire media tablet. 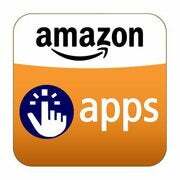 Amazon also launched its own Appstore for Android in March featuring apps for Android smartphones and, more recently, for the Fire. The company also has some familiarity with the mobile device business since it has been selling phones on its website for some time. But the big question about a possible Amazon "Kindle Phone" is whether it can add anything unique to an already crowded smartphone market. What would set apart a reported "Kindle Phone" from the iPhone, Google-branded Android phones, Blackberry and Windows Phone 7? If any company could introduce a more aggressive pricing structure to the mobile phone business in the United States it would be Amazon. Citigroup's report says the reported Kindle Phone would cost about $150 to $170 per unit to manufacture. If that claim is accurate, then it's possible Amazon could sell the device at cost or even less hoping to make up the shortfall through content sales on Amazon.com. That appears to be the company's strategy with the Kindle Fire. Amazon sells its new media tablet for $199, but market research firm IHS iSuppli estimates the Fire costs about $202 to manufacture. If Amazon did sell a Kindle Phone for $200 or less, and sold it directly to consumers, it might be able to sell a carrier unlocked device. You would then be free to attach your phone to any carrier the phone was compatible with. Of course, Google already tried something similar in early 2010 with the Nexus One and failed spectacularly. Google's Nexus One was supposed to be the first of several Android phones sold through the search giant's online smartphone store billed as a "new approach to buying a mobile phone." You could either buy the device unlocked for $529 or you could purchase a Nexus One tied to T-Mobile for $179. But four months after Google launched the Nexus One and the new web store the company said it would shut down its online retail outlet. In a blog post announcing the store's closure, Google cited a lack of general interest and a consumer preference for hands-on time with a phone before buying. Amazon will likely have learned from Google's failure. A much cheaper price of $200 or less could entice more people to try an unlocked device than Google's $529 price tag. Perhaps Amazon could even try to subsidize the device by offering a cheaply priced ad-supported version as it does with some E Ink Kindles. Amazon would also be smart enough to place the Kindle Phone in retail stores such as Best Buy, Radio Shack, and Staples as it does with the Kindle line-up, including the Fire. That way people could still have a look at the phone in person before buying it. An Amazon smartphone would presumably be deeply integrated with the retailer's online content similar to the Kindle Fire. Reviewers have called Amazon's media tablet an "impulse purchase device," and Amazon CEO Jeff Bezos appears to agree with that assessment. In a recent interview with Wired, Bezos called the Fire a "fully integrated media service" built to access Amazon content. It's likely a Kindle Phone would be created under a similar philosophy. Amazon has some catching up to do if it wants the Appstore for Android to match the Android Market and Apple's App Store. But the company appears to be building up a solid catalog of Android apps including popular titles such as Angry Birds, Plants vs. Zombies, Hulu Plus, and Netflix. For other content such as movies, TV shows, music, and e-books, Amazon already offers a wide catalog. And if you factor in Amazon Prime membership that gives you access to discounted shipping rates on Amazon.com, a lending library of more than 5000 free e-books, and free streaming for more than 10,000 movies and TV shows, an Amazon phone would have a lot of content to keep users happy. But content alone wouldn't make a Kindle Phone all that unique. The iPhone has a wide catalog of simliar content available through the iTunes Store. Google is adding more items to the Android Market on a regular basis, the most recent launch being Google Music on Wednesday. The biggest advantage an Amazon phone could offer is pricing. Selling an unlocked phone for less than $200 would be an enticing offer. But then again, Amazon could just as easily enter into business agreements with U.S. mobile carriers the way most phone makers do, where consumers get a locked phone for $200 and Amazon gets paid out by the carrier. But that wouldn't really differentiate an Amazon phone from its competitors, which once again begs the question: why buy an Amazon phone in the first place? Amazon's challenge is to show us why.